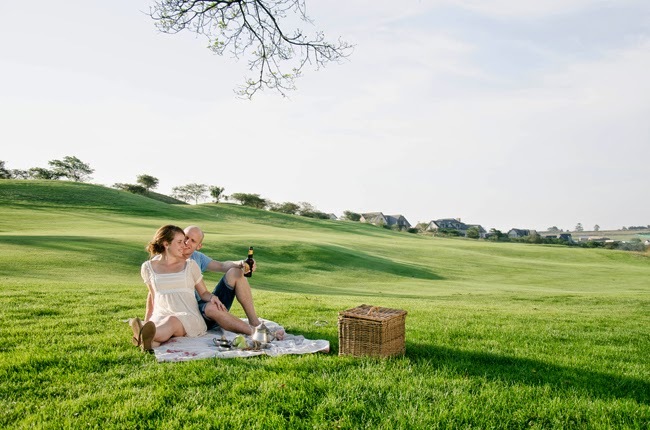 Local Durban photographer Tanya Jacobs recently submitted this gorgeous engagement shoot to us of her clients Tricia and David, and today we're sharing the prettiness with you. Tricia and David were married on the 19th April this year, in a picnic-themed wedding in the Midlands - how beautiful! 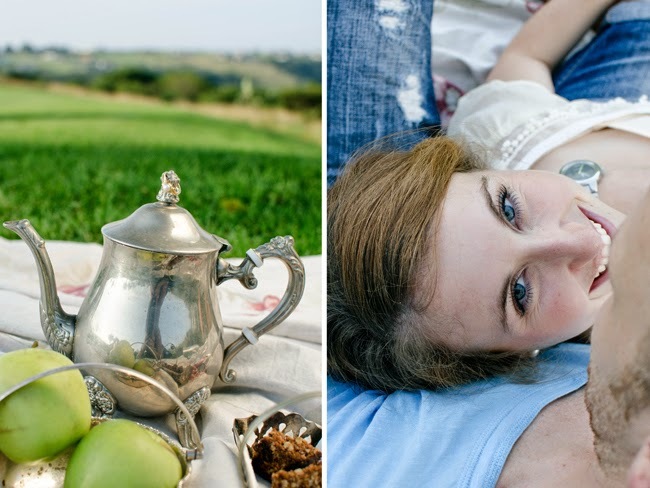 We love the natural colour palette of this shoot, and the setting was just perfect. 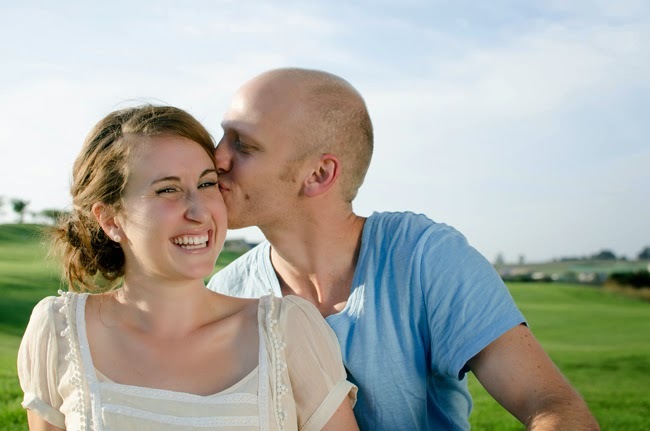 The love between this Canadian lady and her South African man is so obvious from their engagement shoot and we hope you enjoy their love story as much as we did. So what’s your love story? We first met in Uganda in 2008. I, Patricia, am from Canada. I was volunteering at a Children’s Orphanage in Uganda as part of a 3 month volunteer stint before going back to Canada to study. David was part of a group from South Africa doing a gap year program called “Year of Your Life” and they also happened to be volunteering in the same orphanage. When his “Year of Your Life” group tried to convince me to come do the gap year in SA, I told them not a chance! For me and David it was far from love at first sight. I was a “dirty, stereotypical American traveller” and he was just “such a nice guy”. Instead, we were nothing but really good friends. After 4 years of being really good friends, something changed. 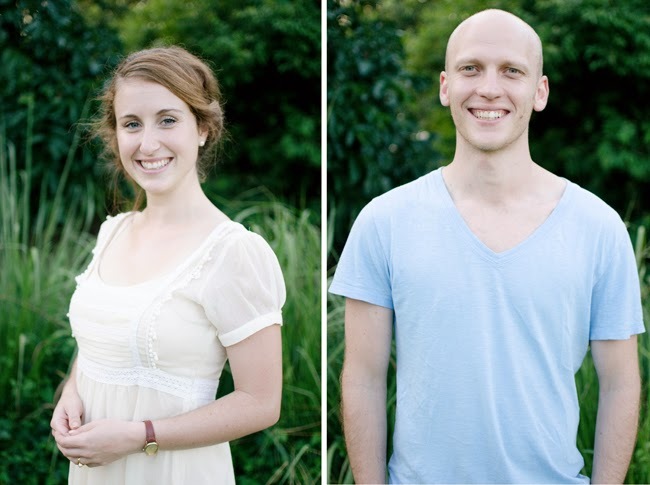 I realized I wanted nothing more than an amazing nice guy to spend the rest of my life with. And in David’s words I “got hot”! Ha. I am a planner. I think ahead, plan, manage, organize and love being in control. Therefore I am nearly impossible to surprise. We had been speaking about marriage for a little while, but the one thing that was holding us back was the fact he hadn’t met my parents yet. We had a trip planned to Canada on Dec 26 2013; and everyone, including myself, expected that he would propose then. But David was determined to surprise me! I was 100% surprised. I thought it was a welcome home banner from a friend! David wasn’t even suppose to be at the Joburg airport (we live in Durban). He had flown from Durban to Joburg to meet me there! I had only expected to see him 6 hours later, after driving home. 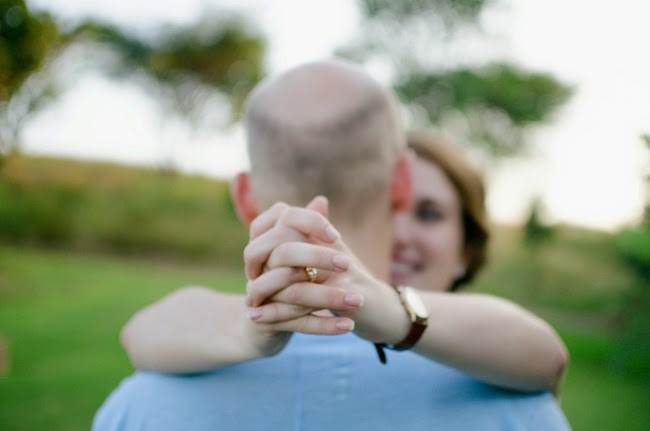 I started laughing as I ran towards him on bended knee! He did such a good job surprising me! The entire thing was unexpected! And the ring—it was EXACTLY what I wanted! 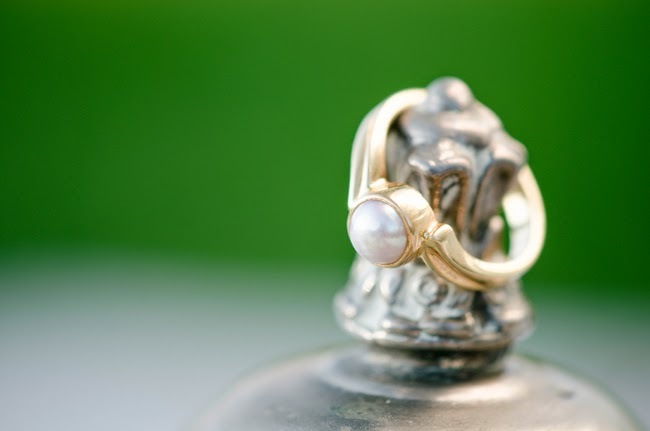 A pearl with yellow gold!! He did so, so well!! Have you set a wedding date? Yes! We were married on April 19 2014. Less than 4 months after getting engaged; with only 3 months to plan as we were in Canada until Jan 18! It’s been SUCH fun to plan a wedding in 3 months- and seriously not stressful at all! We have honestly loved the entire process! Any wedding plans so far to share with us? We had a very different kind of wedding. 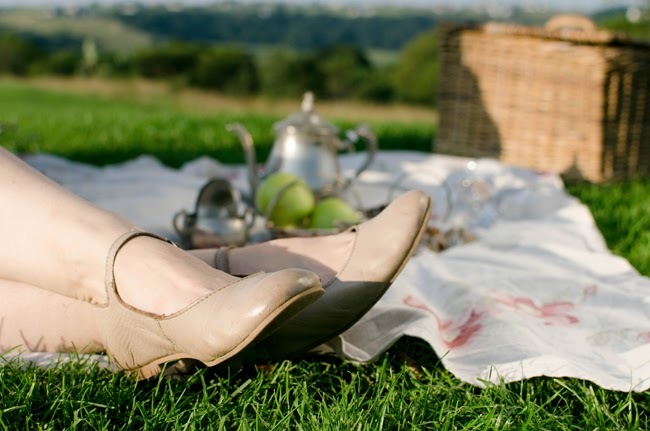 A picnic in the Midlands for everyone who we love- family, friends, work colleagues; followed by an intimate diner with family. It’s like the best of both worlds! Over 100 guests were invited to the picnic. After the ceremony everyone grabbed a blanket and a basket, headed into the shade, and enjoyed the chow! We spent the afternoon together relaxing, hunting for easter eggs, watching the rugby, listening to some casual speeches, and sipping on cappuccinos courtesy of Jacksonville Coffee. Around 17:00 the majority of guests went home, we went off for photos, and only family and the bridal party stayed for an intimate steak dinner from 18:30 – 21:00. This suited us perfectly!